GigAdvisor – the brand new application for the promoters and artists, which will become your unreplaceable every day tool! GigAdvisor is a unique application in the purpose of booking famous artists and celebrities for your events, and significantly reduce all the related costs! Using GigAdvisor, the promoter may add his own event to our database, getting the chance for the other promoter to join his current tour, meaning saving money on tour expenses by splitting the costs and getting even better revenue! Using our GigAdvisor application, artists will benefit in finding more options for the future gigs, as the app makes the promoters aware of the upcoming shows of the each artist! Everything is simple: download GigAdvisor now for free and enjoy the most perfect experience in booking process! Select touring artist or band and send your inquiry, providing the details of your event. You will get the most accurate quotation regarding artistic fee, as well as general expenses. Booking is very simple: provide your details, send your inquiry and get the most accurate quotation! You may easily split costs with other promoters! Join the existing tour and save money on artistic fee and all the related expenses. GigAdvisor is an online assistant for promoters and artists. This one-of-a-kind application has many advantages and is extremely useful. GigAdvisor is one and only application which can find artists and celebs for your event and cut down on expenditure. An artist can also upload his or her current or future tour to have two or more shows at the same place. GigAdvisor`s database has all the necessary information about touring events and artists: just download the application and start using it! GigAdvisor provides its users with an excellent experience of booking and makes promoter’s work easier. Find out tours – make an enquiry and book artists or celebs. Inquire – GigAdvisor has a special system of calculation. There is no doubt, that the app saves your money! Save up to 50% – split expenses with other promoters! GigAdvisor makes a booking process easier! GigAdvisor is a brand new app, which will save your money and time and will make the promoter`s work more effective. The app is available both on Android and on iOs. Save up to 50%: monitor the tracking system of the app, find artists and celebrities and split expenses with other promoters. All-in-one application – there is no requirement for surfing the Internet. It will take a couple of minutes to download the application from the Google Play Store or iTunes Store, add information about current or future events and appeal to the target audience: partners and artists! GigAdvisor makes your work easier and gives you an opportunity to book famous artists and celebs in the shortest time possible. The application has a worldwide coverage, which allows organizing the events in different parts of the World. Available worldwide – stay informed about different current and upcoming tours, which are published on the app and take place in different locations. iOs and Android – download GigAdvisor from the Apple Store or Play Store! Joining the current tour, you guarantee yourself with splitting costs between other promoter and saving your finances as a result! Add you preferred location and get smart notifications whenever there are new events available in the selected area! If you are promoter or concert organizer, you can add your own tours and get additional booking orders through our system. Application significally saves your time resource and makes the booking process very simple, convenient and the most important – fast! Events from all over the world are published in GigAdvisor app. 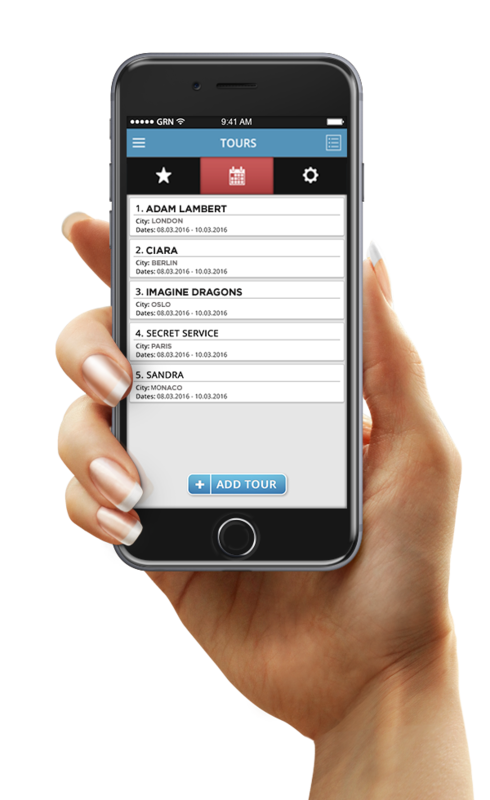 The app gives an ability to be up-to-date with all current and upcoming tours! GigAdvisor is developed initially for mobile platforms. It supports Android and Iphone devices. However, it is planned to launch desktop version as well.